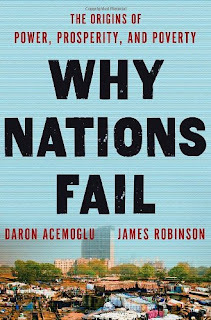 Why Nations Fail: The Origins of Power, Prosperity, and Poverty by Acemoglu and Robinson has justly become one of the most talked about books of 2012. Using a relatively simple, but deeply penetrating model of political and economic development, the authors explain how some countries fail while others succeed, and illustrate their ideas with dozens of examples past and present. Some popular theories of economic and political development place central importance on geography, culture, ignorance or even genetics. 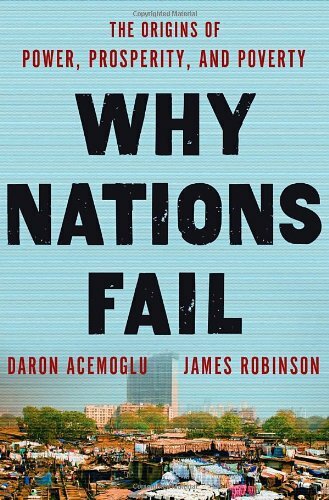 Acemoglu and Robinson emphasize instead the importance on institutions. 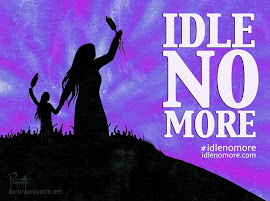 Indeed, the main lesson of their book may be summed up: Institutions matter, institutions evolve, but institutions (particularly extractive institutions) are resistant to change. Consider for example the disastrous Washington Consensus that dominated the agenda of the IMF and World Bank in the '90s. The idea was that developing countries had fallen behind because their leaders didn't know what they were doing, and the solution was to send smart, western trained economists to teach them how to run their countries. Acemoglu and Robinson argue that this policy was based on a fundamental misdiagnosis of the problem. Countries like Guatemala and Zimbabwe aren't struggling because their leaders don't know what they are doing. They struggle because their political and economic institutions are designed to extract wealth for the benefit of a small elite. Most policies that are conducive to economic growth also threaten the dominance of elites, so they are resisted. For example in 19th century Guatemala, political and economic power was concentrated in a powerful merchant guild called the Consulado. The Consulado held a monopoly on foreign trade through the ownership of seaports on the Caribbean. They resisted the development of a port on the Pacific and the improvement of roads to the Pacific, because it would have undermined their monopoly. Policies of this sort have left most Guatemalans poor, but for 500 years have kept political and economic power in the hands of 24 families descended from Spanish conquistadors. A modern example is Uzbekistan. A fundamental condition for economic development in the modern world is an educated workforce. But in Uzbekistan, lead since 1991 by "president" Islam Karimov, school children are taken from their classrooms for two months each year and forced to pick cotton for wages of 3 cents per day. This cotton is then bought by the government for a fraction of world market prices, and exported for huge profits. Bad for the country as a whole, but great for Karimov and his cronies. This is a particularly egregious example of a common phenomenon: limiting the education of the masses to ensure a large pool of cheap labour for wealthy landowners. During the 20th century, the southeastern US states lagged behind the rest of the country in large part because political elites erected barriers to the education of blacks. This left blacks with few employment opportunities except unskilled farm labour, and this helped keep wages low. Despite black emancipation following the US civil war, elites maintained hold of political power and resisted efforts to undermine the exploitative economic system that they benefited from. This is one illustration of "the Iron Law of Oligarchy" that makes development so difficult when power is held in the hands of a small elite. 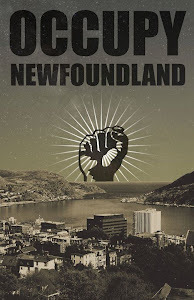 These and dozens of other examples are explained and developed in the book and I really encourage you to check it out if you are interested in history, politics, and human welfare. The authors also maintain a terrific blog further expanding their ideas. I found this series of posts on the American penal system especially eye-opening. Thanks for sharing. Great blogpost. I'll check out this book for sure.